It's Elemental art exhibit brings many different materials and art forms. Tom Williams is a multimedia artist — not just in material, but considering the senses. His forged metalwork is meant to be touched, to be heard. “To me, the more senses you can bring into experiencing the art the better,” he said. This applies to many entrants in the “It’s Elemental” exhibition and sale, now entering its 15th year, during which viewers are challenged to immerse themselves in natural elements of wood, fiber, glass, clay and metal. With the jury inundated with more than 200 submissions and 60 selected, the show has even more to offer. “The response we got in terms of entries is the largest we’ve seen in almost five years. In my opinion that makes for a stronger show,” said John Tannous, Flagstaff Arts Council Executive Director. A members’ preview takes place at the Coconino Center for the Arts, 2300 N. Fort Valley Road, Friday, Nov. 13 from 6- 8 p.m. A free public reception follows Saturday, Nov. 14 from 6-8 p.m. The exhibit runs through Dec. 19. The Fine Craft Sale accompanies the exhibition Saturday, Dec. 5 from 10 a.m.-5 p.m. and Sunday, Dec. 6 from noon-4 p.m. For more information, visit www.flagartscouncil.org. Happy accidentsFor Williams, compelling sensory experiences have propelled his work over the years, and a series of happy accidents, he said. Especially with one of his top-selling items: bells. Thanks to the profile cut in the bottom, one can not only hear the charming tones, but reach out and feel sonic vibrations pulsing from these very popular metal sculptures. From this slight aesthetic alteration, Williams realized there was a more profound impact as well. These principles, he said, are constant reminders for him to keep pushing ever forward. The artist’s journey into metal artwork began when he and his wife “escaped” southern California, trading bustle for the leisurely pace of Williams. He laughed at the novelty of sharing a name with the town where he operates The Gallery with his wife and two other partners — and the fact he never wanted to own a gallery. Setting up the space while it opened in 2011 took him away from working creatively, but in that same year, he entered the Artists’ Coalition of Flagstaff’s “Recycled Art” exhibition and won the Elegance Award. Finding passionMost of his artwork is made to appeal to the greater public and sell, like his hand-forged bells and drums. But when he enters an exhibition, he prefers to tackles his true passion: impact pieces. In college, Williams worked on structural welding, always jealous of the artists across the hall forging delicate-looking roses. Williams’ artistic discoveries lead to incredible innovation. Pipe caps he welded together and smashed for a rocky texture make up the rocks in one piece. “The big secret though: Rock balancing is really easy, especially if you weld the pieces together,” he added. The detail and involved nature of his work, especially with ravens like the ones he forged for “It’s Elemental.” Williams works in assembly line fashion, slicing feathers with his plasma cutter, shaping bird bodies at the same time — though it took about a day a piece. Each raven is made of 2,000 feathers — the primary feathers, flight and secondary all coming from digital scans or drawings. His in-depth approach involves hundreds of hours, months of research before finally sitting down to form one of these intricate creatures. Williams explained each one of these happy accidents, from experimenting with new material to the trial-and-error process that comes with being and working as an artist has been one step in his journey. Santa Fe update. Well…There have been highs and lows. The first day we set out for Canyon Road with one of my sculptures in the back seat as well as a box from John Stebila, who is currently represented by Gannon Arts and Antiques. I had agreed to drop off his sculpture and was promised the owner would look at my work and possibly point me in the right direction if his gallery was not a good fit. We arrived on Canyon Road early knowing the parking would fill up fast and I did not want to carry my 85 lb sculpture far when the gallery owner said, “I love it! You can you bring it in now!” I have suffered very little rejection in my short art career and had high hopes and expectations. So, with my beautiful portfolio in hand, I boldly marched into the gallery I thought I most wanted to represent my work. I located the demonstrating artist (more on that in a minute), who I had never met before, but through a friend, he had agreed to introduce me to the owner, which he did. Faux Pas: A social blunder. Merriam-Webster says arriving too early would be a serious faux pas. How about arriving at all on one of the biggest events on Canyon Road where almost every gallery had a demonstrating artist in front of their gallery? All of the owners were busy setting up, getting the artist settled, and preparing for the huge crowds of people about to descend. ​Enter one over-confident artist. After the promised introduction, I missed all of the signs. The owner graciously said “Hi” and invited us to “enjoy the gallery”. I should have realized that meant, “I am busy now. Maybe we can talk later.” But not me! I jumped right in. “Would you like to see my work?” and the answer, “GOD NO! Not this early! Never come this early.” I asked when would be a better time and was told 3pm, but realized later I had already blown my first impression and did not return out of respect for the artist who had given me the introduction. ​I did talk to the artist later, and he said he wished I had waited until we could talk. He did look at my work and said that he was “blown away” by it. We had a wonderful conversation. I apologized for any trouble I might have caused him. I also let him know I would not be returning. I think he was relieved. He gave me some good advice. I hope we stay in touch. I respect his work; it is truly beautiful. I left deflated, wondering why I was there, and I could not, and still have not, got the words “GOD NO!” out of my now much smaller head. 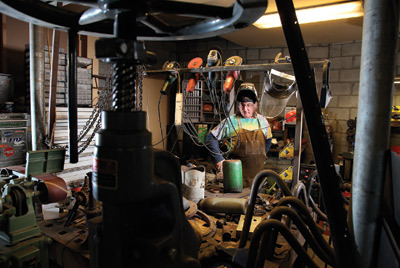 The Williams resident owns Twisted Horn Forge and is a co-owner of The Gallery in Williams. He turns sheets of metal into ravens and petroglyphs and discarded air tanks into bells and drums through the magic of blacksmithing, welding and a computer-assisted cutting machine. He even turned a gas tank into a planet. The Mars Kaleidisphere on display at Lowell Observatory was a collaboration between Williams, John Rogers and Mike Frankel. Williams worked on the shell of the Kaleidisphere, which was originally a gas tank. Williams’ collaborators weren’t sure the tank would work for the project, especially since Williams almost lost an eyebrow cutting it open. He had filled the tank with water in order to push out the remaining gas vapors, but didn’t quite get all of them. “There was still some left in the tank,” he said. The cutting torch ignited the vapor with a whoosh of flame. Williams was able to rid the tank of the rest of the vapor by refilling it with water and letting it sit. Williams studied the features of the red planet closely in order to recreate them on the outside of the sphere. He then hammered in the features by hand. Rogers and Frankel worked on the kaleidoscope part of the sphere, pulling photos from the Hubble telescope and combining it with their skills in glass and machinery. Williams’ latest works center on ravens. It started with a customer requesting one of his bells with a raven added to it. The bell was easy enough -- Williams makes hundreds of them out of old air cylinders -- but the bird was another story. Williams studied ravens from every angle by downloading photos from birding and naturalist websites. The body of the bird is cut, formed and welded from sheet metal. Then Williams designed a pattern for each feather and used a CNC machine - computer numerical control -- to cut out more than 2,000 feathers in various shapes and sizes. Each feather was then individually attached to the life-sized bird. His current raven projects include a raven coiling a basket made out of rebar and a sculpture of a raven and the sun. Williams got into metalworking while he was living in California. “I was a mountain bike patroller for the national and state park system,” he said. He loved mountain biking, and like most enthusiasts was looking for a way to create his own custom accessories. He joined up with a friend, who is a steel fabricator for the movie industry, to open a mobile bike repair shop. He was so amazed at the variety of items his friend could make with a bit of metal and a few welds that Williams decided to take a welding class and become a certified welder. About six months ago, he moved to Arizona and took up residence in Flagstaff, but job prospects for welders were slim with low pay; instead, he became a bus mechanic for Flagstaff Unified School District. While working at the school district, he stopped by a recycled art show. “I was looking at some of the items and thought ‘I could do that,’” he said. He started saving and asking others at the shop to save bits of scrap metal for him. He saved used horseshoes and welded them together to create wine racks, cactuses and other items. “But that’s just sticking things together,” he said. Williams wanted to do more, so he started taking blacksmithing classes at Pieh Tool in Camp Verde. This allowed him to expand his skills and creativity into making items like his raven sculptures, drums, and flowers for his Shoeguaro cactus sculptures made from mule shoes from the Grand Canyon. Nearly everything he uses to create his artworks are recycled or upcycled from other materials. 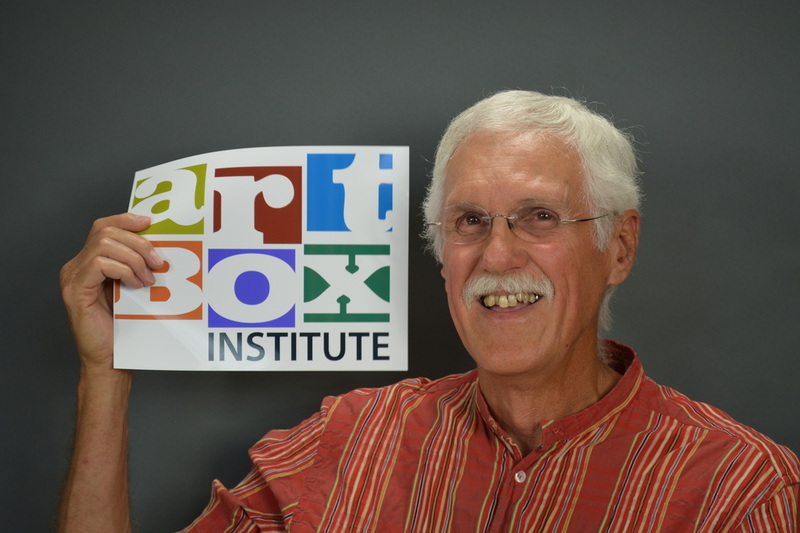 Williams is a graduate of the Coconino Center for the Arts’ ArtBox Institute. The program helps artists of all kinds learn how to set up a business plan, calculate sales tax, market themselves and their artwork, and show their work. Williams said the program was a big help in creating his websites, setting up and operating the gallery, and marketing his art. The piece features a bell hanging from a tree branch with panels of petroglyphs on both sides and a bowl of water filled with stones below it. On his website, Williams describes how the hum of the bell is like ripples in a pond. He compares the ripples to life, where most of us start our lives in one spot then move outward as we grow. In 2011, Williams and his wife, Kris, together with a number of other artists, opened a co-op gallery in downtown Williams on Route 66. The artists featured in the gallery take turns operating it. A number of people told Williams the gallery wouldn’t make it and he conceded it looked a little strange among all of the more touristy-type shops. But they stuck together through the first year, and then in March of the following year, two more galleries opened and more of the touristy-type shops started carrying more art. WILLIAMS, Ariz. -When local metal sculptor Tom Williams brings visitors into his studio, he asks if they've had their tetanus shots. "What I do has a level of danger to it," he said, referring not only to the risk of being pierced by a piece of scrap metal, but also the chance of being burned while heating the metal to manipulate it. "There's a saying that there's three kinds of blacksmiths: those who have set themselves on fire, those who will set themselves on fire and those who are currently on fire," he added. Williams falls into the first category after a welding incident in which his frayed pants caught on fire and the flames burned through his pocket. But high risk can also lead to high rewards. At the Nov. 14 opening of the "It's Elemental" show at the Coconino Center for the Arts, Williams won the Best in Show award for his bell titled "Resonance." The piece is both a bell and a fountain. It consists of a bell hanging from a tree branch with decorative panels on both sides and a bowl underneath. Williams created "Resonance" for a pop-up gallery at the end of his participation in Flagstaff Cultural Partners' ArtBox, a nine-month professional development program. The theme for the project was water. "I had never even thought of wanting to add water to a piece before, but I did and the piece turned out really, really nice," Williams said. The piece took Williams about a month to make. He made the bowl portion from a flat piece of copper that he hammered into shape. The bell portion is made of a recycled steel oxygen tank that Williams cut into shape. The tree branch was forged from a recycled steel pipe, and the pinecone is made of recycled steel cutouts. "Everything on the piece except for the copper is all recycled materials," Williams said. "Nothing gets thrown away. Everything gets used, even if it's not for its original intended purpose." He made the sculpture's panels out of steel and copper. Williams used a tire hammer he made with his son from an old Grand Canyon Railway train axle to give the panels a rock-like appearance. Then he used a formula of hydrogen peroxide, vinegar and salt to rust the panels. To form the outlines of the shamans, Williams used a technique known as repoussé to hammer the reverse side of the panels. Then he used a technique called chasing to add grooved detailing to the front of the panels. Williams enjoys using recycled materials because they are readily available, are more affordable and are environmentally friendly. Williams, who is also the co-owner of The Gallery in Williams, didn't originally intend to become an artist. It was another job that led him to start creating things using mostly recycled materials. Williams' artistic path started when he was working as a mountain bike patroller for the national and state park service in California. Together with a friend who was a steel fabricator, Williams decided to set up a mobile bicycle repair shop in a truck. "It was just amazing to me that we could start out with a pile of steel in the morning and by the afternoon have all this functional stuff made," he said. "So I took a class, and then I took a bunch of classes and got certified as a welder." When he moved to Williams, he planned to work as a welder, but switched gears when he found out about the low welders' salaries. Instead, Williams became a bus mechanic for Flagstaff Unified School District. "Then I went to the recycled art show and looked at some of that stuff and said, 'I can make that,'" he said. "So I would have the guys at work save pieces of steel for me to bring home, and they'd laugh at me and say, 'Hey Tom, here's some art! But they're not laughing anymore." At that point, Williams started experimenting with creating things, but he acquired some new skills after taking blacksmith classes at Pieh Tool in Camp Verde. "It started really slow. I made a wine rack out of horse shoes," he said. "But to me that's just sticking things together. There's still a lot of welders who do that that call themselves artists. They just stick different things together-they haven't changed it at all. The blacksmith class allowed me to do things like this where you're actually taking pieces of junk steel and making something." Now Williams makes bells, drums, saguaros, roses, petroglyphs, pinecones and jewelry from recycled metal materials. He specializes in bells and drums because they are not just visual art but auditory as well. "I like art that brings in more than one sense," he said. 'If I could find a way to make the roses I make smell that would be wonderful." Williams entered his first art show in 2011, the Recycled Art Exhibition in Flagstaff, and won the Elegance award for his piece titled "The Hunt." The next year Williams entered the Recycled Art Exhibition again and won Best in Show for his piece "Shoeguaro." Williams' award winning sculpture "Resonance" will be on display through Dec. 20 at the Coconino Center for the Arts, 2300 N. Fort Valley Road. The annual juried show includes jewelry, ceramics, glasswork, wood, furniture, fabric, sculpture and more. The gallery is open Tuesday through Saturday from 11 a.m. to 5 p.m. More information is available at (928) 779-2300. 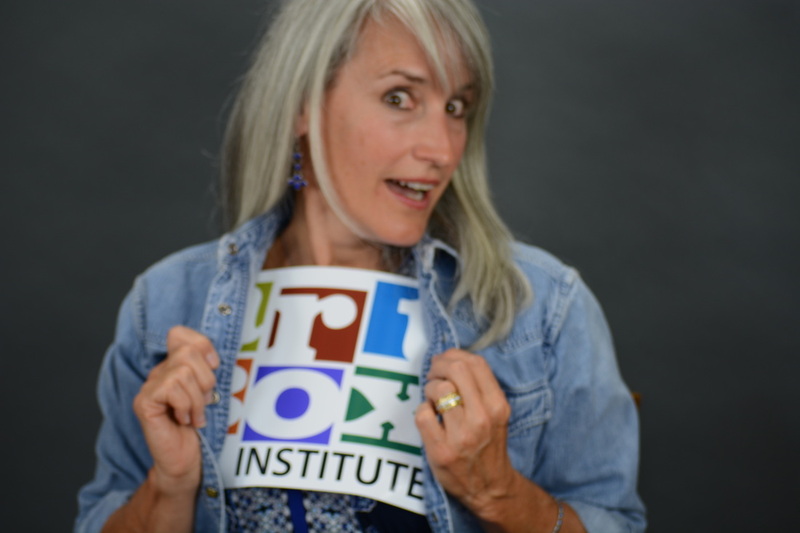 For the last 9 months I have been involved in a professional development program for artists that includes all disciplines. In our class we had gallery owners, musicians, composers, dancers, and, of course, visual artists. During the program we learned how to do a business plan, set-up an LLC, how to calculate sales tax, how to use social media to our best benefit, how to create a professional website, (I created this website as well as TheGalleryinwilliams.com), branding, which was applied to everything else we did, marketing, how to write an artist statement, public speaking (ooh scary), how to shoot professional photographs of our work, videography, goal setting, contracts, how to hang a show, how to jury a show, how to get your work accepted in a juried show, grant writing, and the list goes on. Was it worth it? Absolutely! Was it a lot of work? Yes and no. As with anything, you get out of ArtBox what you put into it. So for me, yes, it was a lot of work and hard at times. In saying that, you need to know I have a new business card, two websites, an artist statement in video form, and new skills to not only help me set future goals but to accomplish them. Now I’m back to being an “artist” for a bit, creating new work to share with the world, but you can’t completely turn off the “business part”. 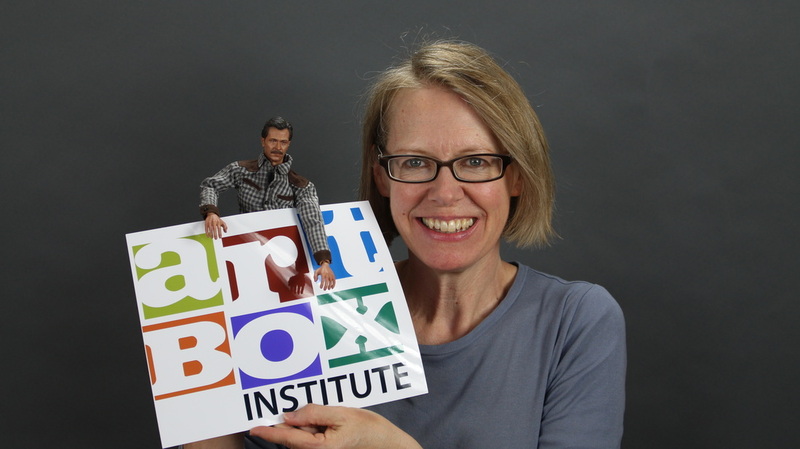 In the back of my mind I am thinking, “How do I grow my business, increase my online presence, enter more shows, and display in more galleries?” The difference after Artbox is that I have the confidence and tools to accomplish all of this. ArtSpace Sedona, Bearizona, Grand Canyon and Red Raven. ArtSpace consultants Teri and Wendy arrived at The Village Gallery right on time as the gallery was closing on Tuesday night. This started a quick tour of the gallery and then Sedona including Hillside galleries and then Tlaquepaque where we had as wonderful dinner at El Rincon Mexican restaurant. Conversation was lively full of humor and thoroughly enjoyable. Suzen Brakel provided a history of Sedona and its many vortices as well as her chance participation in Tom and Kris Williams wedding at the top of Cathedral Rock. The evening ended with a hour drive to the Yellow house in Williams, AZ. The next morning started Early with a behind the scenes tour of Bearizona. First we were treated to an open bus tour through the drive through portion of the park. Bob our personal tour guide was both interesting and knowledgeable. He knew the names of every animal as well as wonderful factoids providing us a rich and full experience. He continued the tour through the walk through portion of the park even behind the juvenile bears where we were allowed to present the back of our hands to the bears. I guess Wendy tasted best as one of the bears tried to get a little nip. At the Grand Canyon we met artist in residence Dread Scott and his wife. We heard about their project. Also in attendance were a representative from Grand Canyon Association and Rene Westbrook Director of Artist in residence program at the canyon. Rene informed us about the Artist in resident program at the canyon and other National parks. She expressed a willingness as well as desire to partner with us as our venture proceeds. All in all it was a very productive meeting. We had lunch at the El Tovar followed by a quick walk to Kolb studio, the Hopi house, and oh yeah a look over the canyon. We had far to short a visit, but both Wendy and Teri expressed the desire to return with their families. Back in Williams with an hour break giving us time to digest the information and to recover somewhat we all met at Red Raven for dinner. We had a wonderful dinner while being entertained by Steve Reynolds local musician. There was laughter all around, animated conversation and just a great time. Attendees were Mayor John Moore, Tom and Kris Williams, Bonnie and David Dent, Helen Gorney, Goia Goodrum, Mike Dulay, Bruce Bennett and of course Wendy and Teri. We ended our night with a visit to The Gallery in Williams what a great day. So I met with Stephanie Peters last night after working in the Village Gallery, Village of Oak Creak, all day. There were two reasons for my visit. First, I wanted to see the current show hanging at White Hills Gallery by Keith Schall, "Meta-paintings". More about that in a minute. Second was to take Stephanie up on her offer to help me in pointing my DNS thingamajig at my new hostamajig, serveramajig dance a little jig. Confused yet? Well, I was. I walked into the gallery to find that Stephanie has taken up livestock sitting, pigs or pig to be exact. Yeah, Stephanie was hip deep in pig slop, yelling soo-ee SOO-EE. For a woman with a little voice, she can really belt it out. Man, that girl can do everything! Almost all kidding aside, she got a commission to paint a "realistic" pig. She really takes her research seriously. I would just Google it and then take one of the fish she paints, put a flat nose on it, draw in some legs, and presto. I would call it recycled or up cycled and have people breaking down the door to get it. Back to the show... being colorblind, I'm not sure I can fully appreciate abstract work, but I try. So it really hurt when Stephanie asked if I see in 3d. "Well, yeahhhh... everything's not flat; I'm not blind." And then she handed me a pair of 3d glasses. I said, "Oh. Well, I'll just put these on." Oh my God! The paintings were alive with texture and depth. There was movement and space. I ran from one painting to another. "Wow! Look at that!" I looked at Stephanie. She was smiling - no - laughing. What an experience! I absolutely loved it. If you haven't seen this show, GO! No, stop what you're doing right now and get yourself to White Hills Gallery. After the excitement Stephanie helped me with my web page at which time she called me a vertically challenged two year old that couldn't even reach the pedals of my car to drive. I kid you not! Just ask her. Well, I thought that was a little harsh and even she said, "Well, maybe I will just shut up now." In the end, she was a great help, and I had a wonderful time. I will find out if it all worked in 48 hours. Do I look like a two year old? Pleaseeee! I am working my last shift at the Artists Gallery here in Flagstaff, az. It's bitter sweet that I am leaving, but with two other galleries and my work with the Williams Alliance for the arts ArtBox and on and on I have no time for my art. I have just brought my drums back and hope all of you who wanted one will have the opportunity to get one of the four currently in the gallery. Check out my drums page by clicking on drums to see them. If you don't get yours before April 30th never fear they will be available at The Gallery in Williams or The Village Gallery in the Village of Oak Creak. Soon I hope to add sound clips to the bells as well as the drums to give you an idea of what the sound like before visiting. Please let me know what you think of my new website. You can access it at www.twistedhornforge.weebly.com . If you would like to talk or see me I work most Thursdays at The Gallery in Williams from 3 to 9pm. Come by and play my drums ring my bells we'll have a good time.